Novel research has found that the Great Barrier Reef is an extraordinarily effective wave absorber, despite large gaps between the reefs. This means that landward of the reefs, waves are mostly related to local winds rather than offshore wave conditions. The waves break and reduce in height over reefs; this drives currents that are very important for the transport of nutrients and larvae. This reduction in wave height also has implications fore shoreline stability. 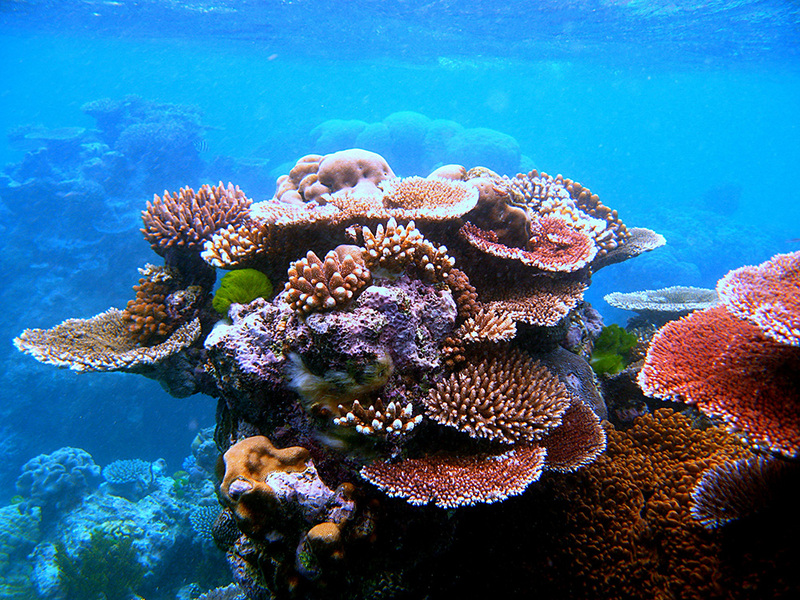 The Great Barrier Reef in Australia is the world’s largest coral reef system, extending 2,300 km alongshore. The reef matrix is a porous structure consisting of thousands of individual reefs, with gaps in between. The porosity varies in that it is much lower in the north where the continental shelf is narrow and there are extensive reef flats; and is greater in the south where the shelf reaches up to 300km wide and there are extensive lagoons. Previously, there have been several studies investigating how individual refs in the Great Barrier Reef influence ocean waves. However, this was the first, comprehensive, large-scale study of the influence of an entire offshore reef system on ocean wave transmission. The researcher’s used a 16-year record of satellite altimeter measurements of wave heights. Dr. Shari Gallop, Research Fellow in Geology and Geophysics at the University of Southampton, led the team, which included Dr. Ivan Haigh, also from the University of Southampton; Professor Ian Young, Vice-Chancellor of the Australian National University (ANU), Professor Roshanka Ranasinghe, Professor of Climate Change Impacts and Coastak Risk (UNESCO-IHE, Deltaresm ANU), and Dr. Tom Durrant (Bureau of Meterology, Australia). This new research, published in Coral Reefs, has crucial implications for wave modeling near reef systems. This is due to models that consider individual reefs only may underestimate the wave reduction potential of a full reef matrix.